I'm the type of person that basically keeps my whole life in my purse. I recently did a MASSIVE clean out of my purse and I pretty much got it down to the bare essentials. 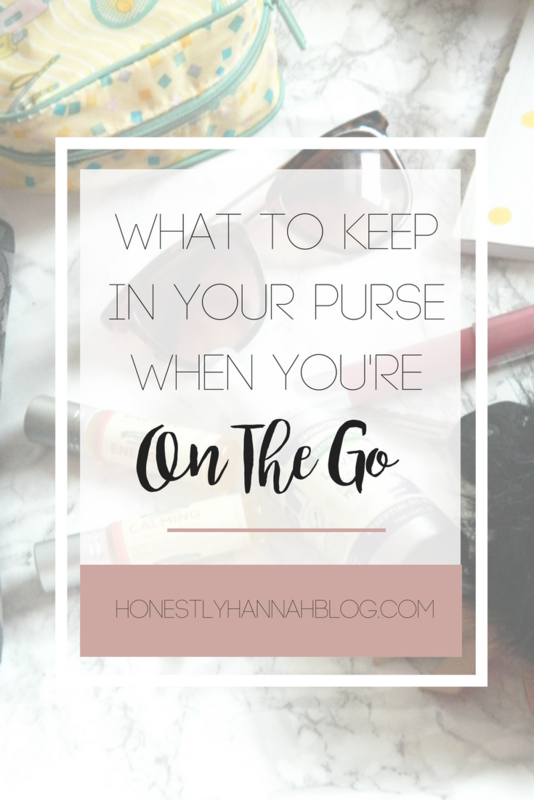 I wanted to do a post all about my absolute purse on-the-go essentials today. 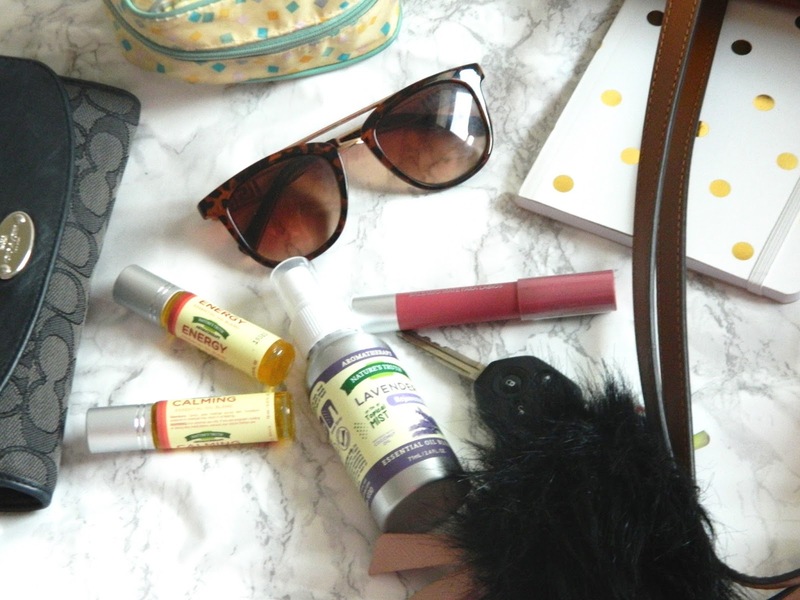 Keep reading to find out my must-haves for in my bag! So, what's actually in the bag...? What's a purse without a wallet though? I love a cute, simple wallet for everyday use. I typically go with either a black or a brown wallet because they go with basically everything. I used to ALWAYS forget my sunglasses when I was running out the door. I got reeeeeal sick of it. So, I decided to buy myself a sunglasses case (overdue much?) so I would always have my sunglasses in my bag, rather than lying in the last place I left them. Does anyone else feel bare without lip balm? I feel like I always need lip balm with me. I love a nice tinted balm because while moisturizing your lips, you also get a sheer pop of color. Who wouldn't want that? Keyword: "small." I used to have a serious problem with keeping way too much in my makeup bag. It was completely overflowing and I could never find anything anyway, so what good was it even doing? I finally picked up one of those cute, puffy keychains to put my keys on and I LOVE it. It makes it so much easier for me to quickly find my keys in my bag, plus it's absolutely adorable. I always need to have a notebook with me. I literally have a running list of to-do's every single day, and whenever something pops into my head, I can just quickly grab my notebook and jot it down so I don't forget about it! Okay guys, you need essential oils in your purse. 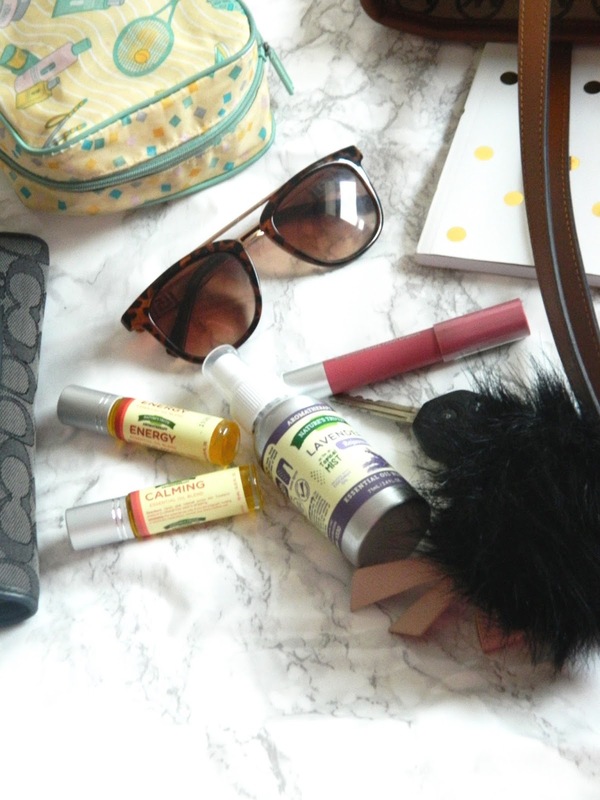 I'm such a "stresser” and my favorite thing to do to help relieve stress on the go and feel energized is carry roll-on or spray essential oils along with me in my purse because the scent is perfect to enhance my relaxation experience. 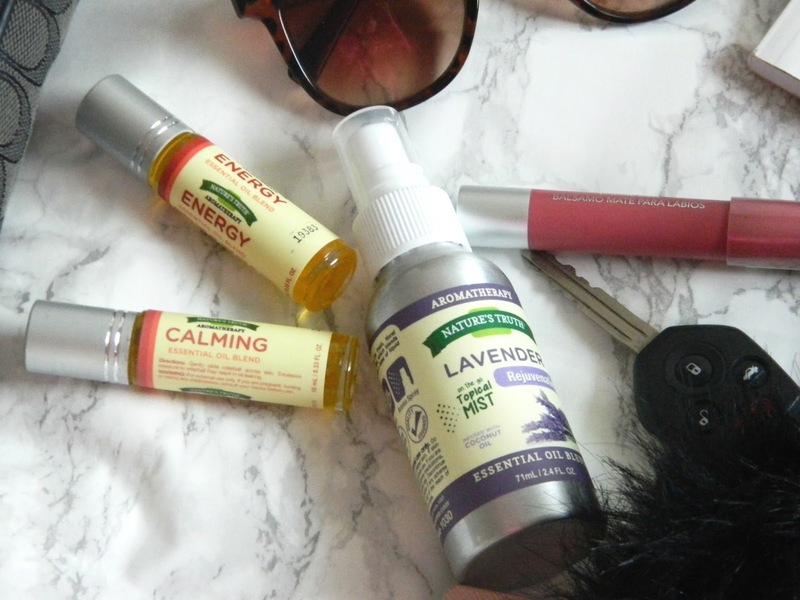 My favorites are the Nature's Truth® Aromatherapy products because you can purchase roll-on and mist options. These are ideal to keep in your bag for times when you're feeling stressed or overwhelmed because the scent of the oils is very relaxing. These oils are 100% plant-based, derived from plant sources like flowers, leaves, and roots. 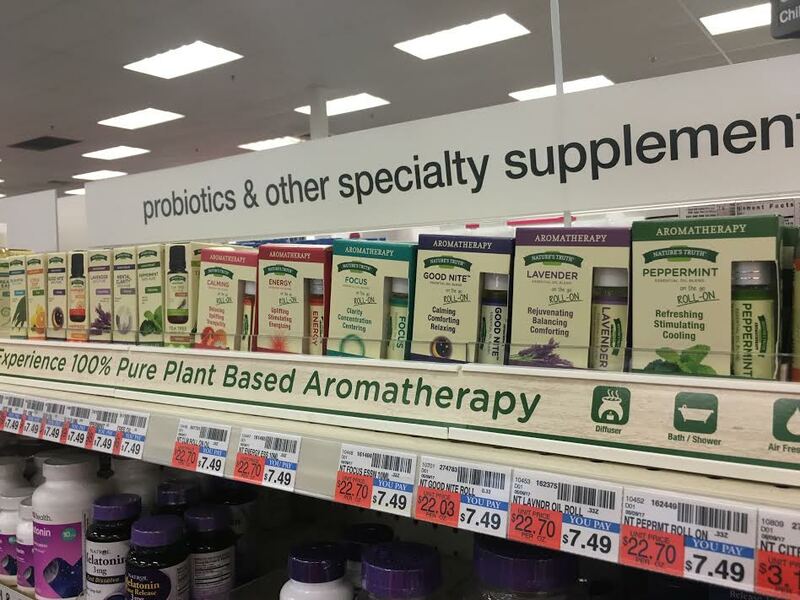 Nature's Truth® Aromatherapy products are amazing because they're super versatile and can be used in unique ways. 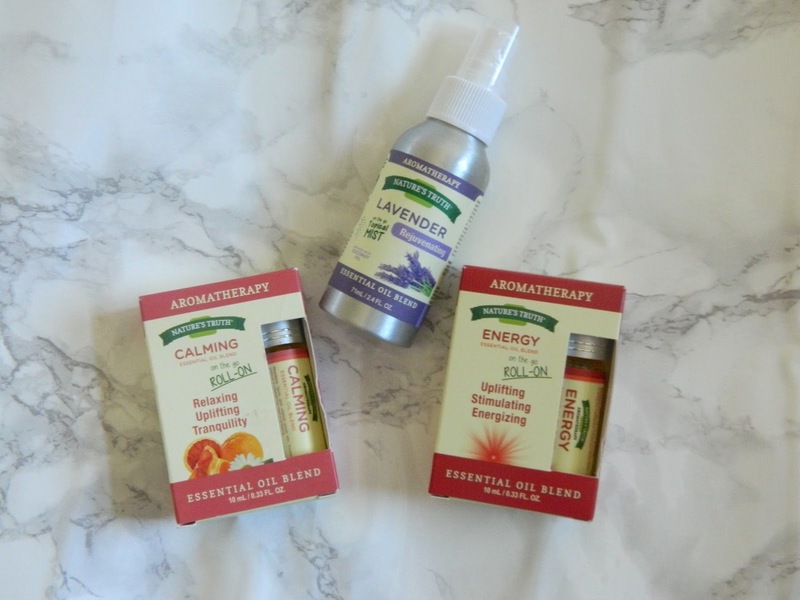 I've started to incorporate these oils into my wellness routine lately, and I couldn't resist having ones that I could take with me on the go! I love this for on the go, because I can just do a quick spray and I feel like the scent hits me instantly. The beautiful lavender scent is a must have for everyday use. I also like to spray this before bed since the scent of lavender is perfect for winding down! I have an obsession with these roll-ons. I've been using these practically everyday because the scent feels energizing. 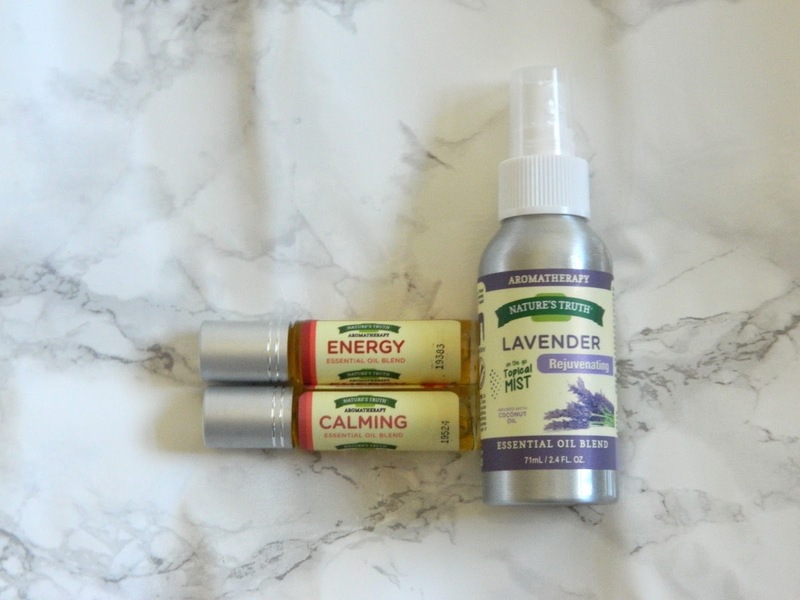 My favorite time to use this is in the morning when I want a boost of energy to accompany my morning routine, or even in class when I start to feel a little sluggish because the scent of this oil instantly lifts my spirits. The scent of this oil is LIFE. This has become my go-to stress reliever for on the go because it makes me feel so incredibly relaxed. It took me waaaaay too long to get on board with essential oils, but now that I've finally tried them out I never want to stop using them! 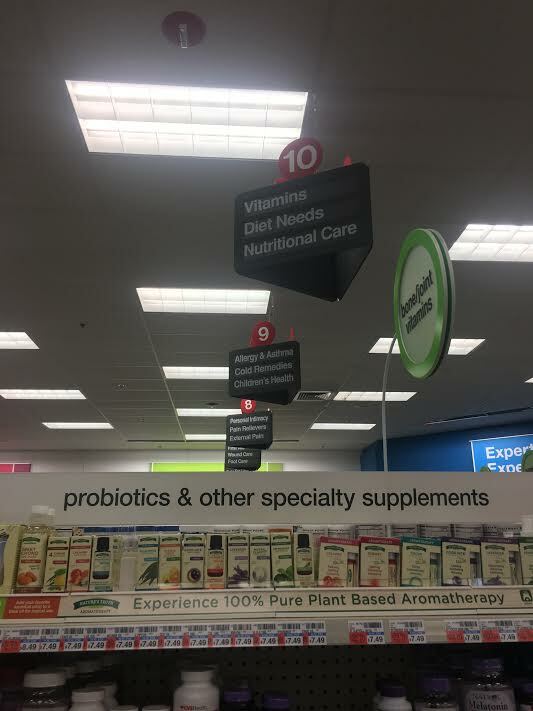 I found the products at my local CVS (pictured below) in the health/vitamin section! 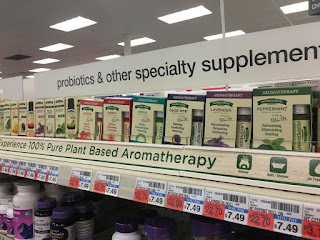 Click here to save $1 on Nature's Truth Aromatherapy products and be sure to follow them on Facebook, Twitter, Instagram, Pinterest, and YouTube. Great post! I totally can't live without some form of lip balm or gloss! Hello! I am in love with your makeup bag! And I can't live missing a notebook in my bag! I am new here and everything looks so gorgeous! Could you do a diy galaxy back to school suplies? Thank you for replying! A back to school supplie is for example, the front page of a notebook painted to look like a galaxy full of stars! I heard it is gorgeous!